Well hey there! I hope you had a fabulous weekend. We’ve been busy around here just trying to get this place organized once and for all! Maybe by the end of 2012 I’ll feel like everything is in it’s place. 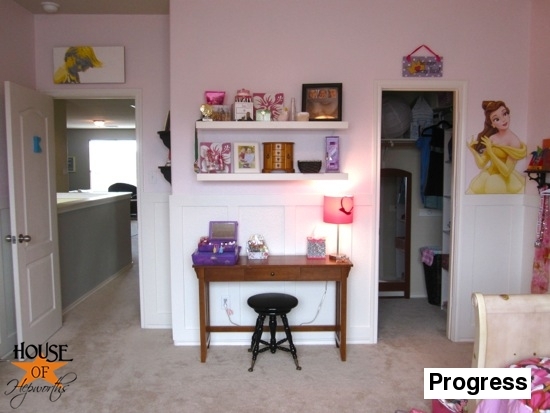 Last week I showed you my 7 year old daughters room makeover progress. I had just hung some floating shelves (IKEA Lack shelves) above a little sofa table. Eventually this area will be for all her jewelry, (play) makeup, nick-knacks, and desk area. 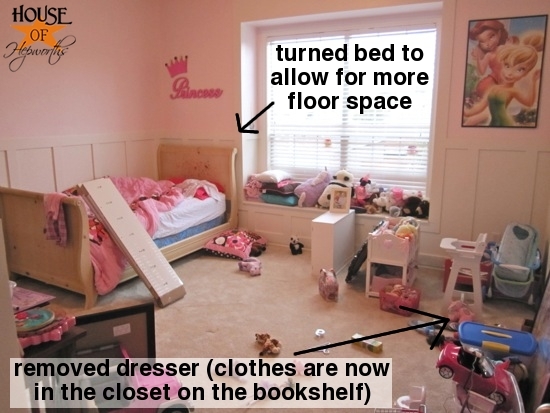 Unfortunately, all this switching around in her room has left quite a huge mess of toys on her floor. 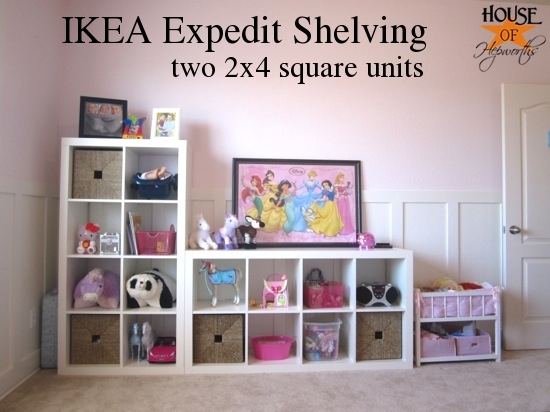 This time for IKEA Expedit Shelves. I decided to go with two of the 2×4 squares Expedit shelves. I wanted to have a lower shelf that K could reach the top of to act as a table top, but I also wanted one that was taller to maximize the amount of storage she has. 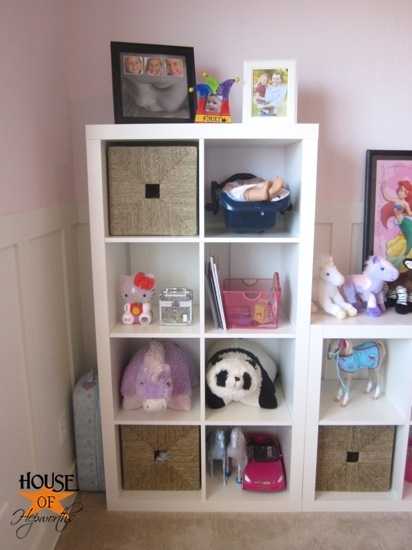 The solution was two shelves, one placed horizontally and one placed vertically. 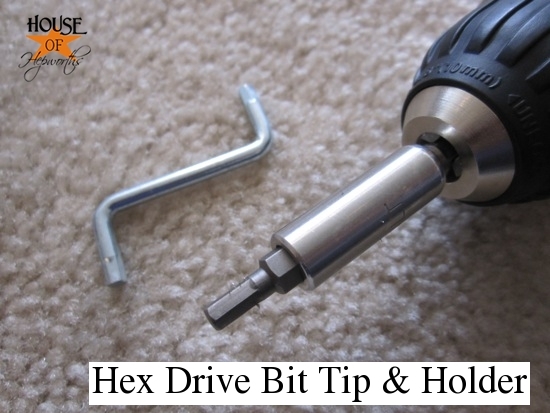 And just as a quick tip, if you are going to be putting together IKEA furniture it is MUCH EASIER if you purchase a Hex Bit Tip set for your electric drill from the hardware store instead of using the manual “Z” shaped Hex bit that comes with the furniture. 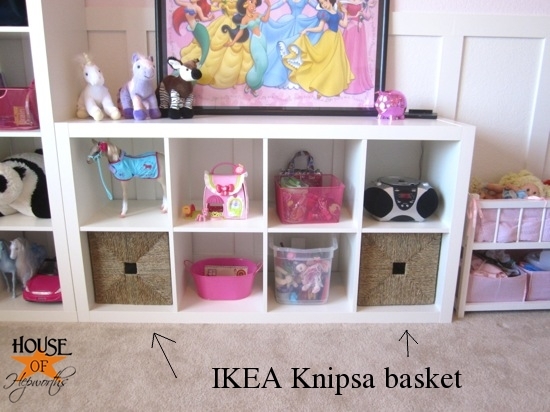 I also decided to splurge and get her four IKEA Knipsa baskets. 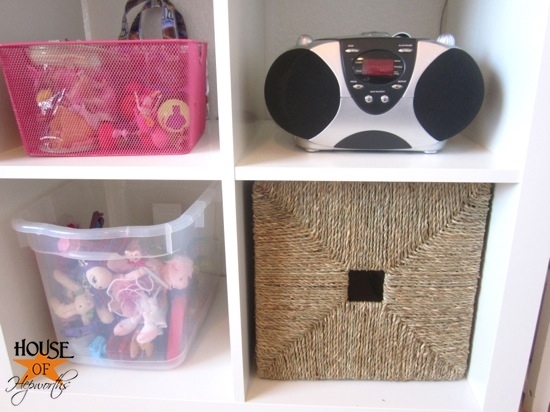 They had cheaper baskets, but I really love the look of these and feel that the overall look of her room will benefit from them (once I finish the room). The Knipsa baskets are $16.99 per basket, so I could only justify four at the time. 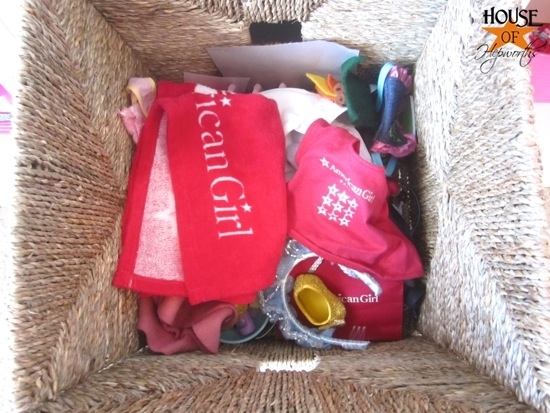 Eventually I plan on snagging a few more of these baskets before all is said and done. 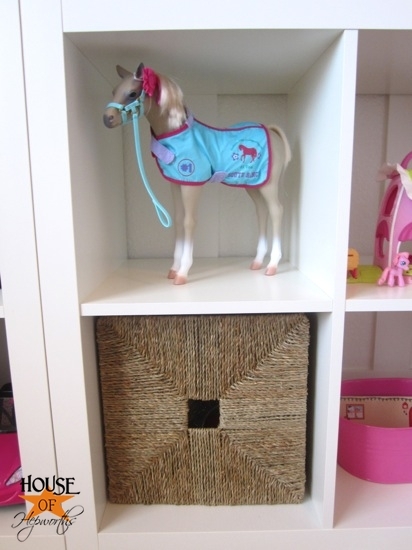 Want a closer look at how I’ve sorted out her toys? This is by no means finished or final. Her room is still VERY MUCH a work-in-progress. 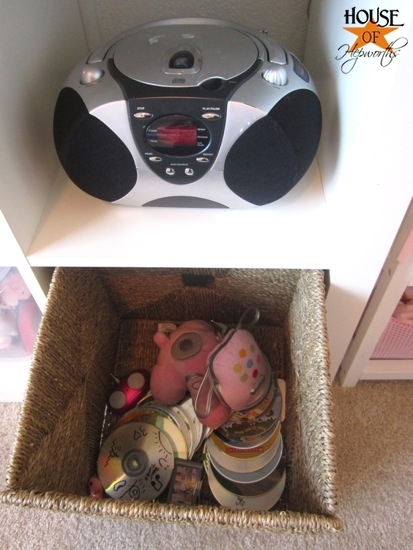 On the tall shelf, one of her new baskets holds all her baby doll stuff, while the other is her new barbie doll storage. 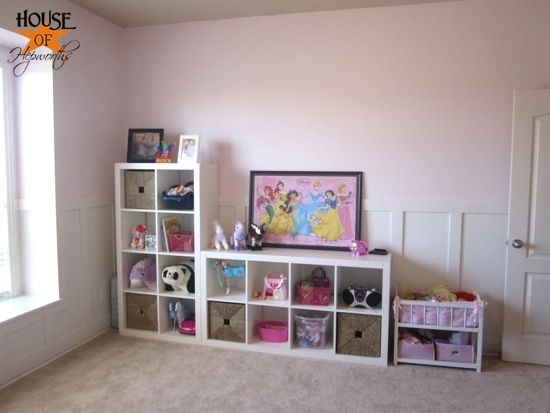 I’m really torn on her huge pink Disney Princess framed poster (on top of the shelf). On the one hand she likes it. A lot. In fact, she’s totally in love with Belle. But on the other hand, it REALLY is NOT the look I’m trying to obtain while decorating her room. I’ve been planning on hanging the poster above these new shelves, but I just can’t stomach it! I am NOT a Disney Princess type of person. In fact, I am opposed to pretty much any character decor of any type. She loves the poster though, so I will probably end up sucking it up and hanging it for her (I mean, it is her room after all!). 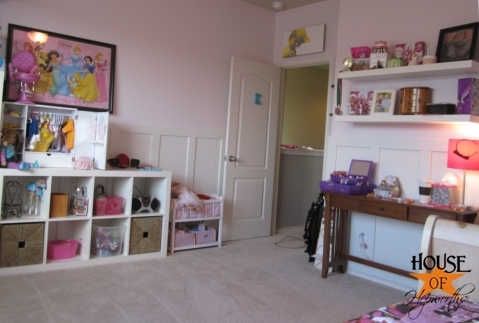 Here’s what her room looks like with her new Lack floating shelves and Expedit shelves. And from the hall when you are walking into her room, this is what you now see…. My next big goal with her room is to get her a new bed. I figure I’ll just share the progress of my house as I go along the way. 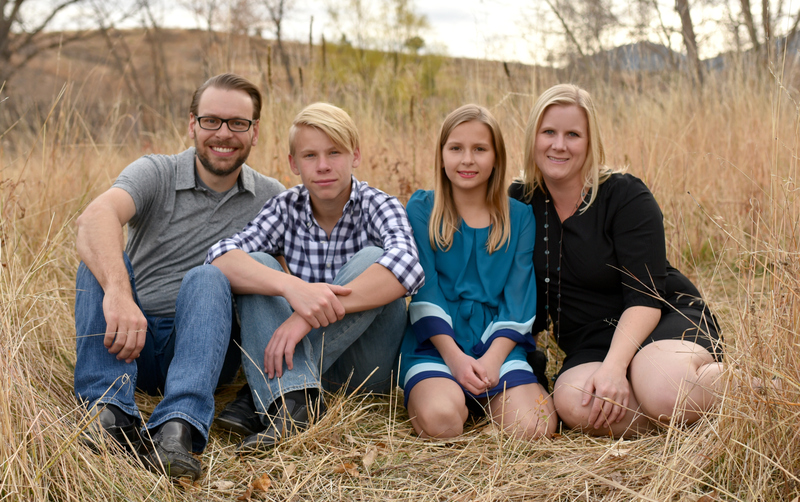 This is real life after all, and in real life, things don’t move as quickly as they do on a 30 minute reality show. Please welcome the newest sponsor for House of Hepworths!! D. Lawless Hardware is an online hardware store with crazy FABULOUS prices! And don’t let the word “hardware” scare you off… they have awesome stuff that you will love including gorgeous glass knobs and handles, coat and robe hooks, & fun collectibles. Of course, they also have tons of hardware stuff that you will need to complete just about any project. Have fun shopping and saving money. I was Belle at a kid birthday party last year 🙂 ha! Holla at me if you need one… I still have my yellow dress! It looks really cute! I feel the same way you do about the character decorations. I also don’t care for character clothes. My mother-in-law put together a 2×3 Mickey Mouse puzzle, glued it together and put it in a poster frame and gave it to my son. That thing is huge so there is no hiding it. Framed puzzles are NOT home decor, but she seems to think otherwise because she has them in her own home. I waited a long time before I finally hung that darn Mickey up. I used those 3M removable hangers so I can take it down anytime I want and no holes in my walls. Maybe you could give those a try? Love the Expedit shelves! My husband has them in his Man Cave!! Definitely second the vote for the hex driver bit for assembling the Expedit shelves. The other thing that’s well worth doing is smearing a little Elmer’s Carpenter’s Glue on each of the dowels to really lock it all together. You hafta move kinda quickly so the glue doesn’t start setting up before you add another shelf, but it’s really worth the little extra effort. 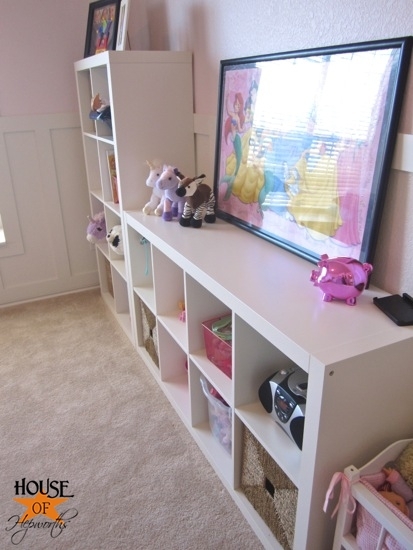 We had those same shelves in our toy room. I totally regret getting rid of them when we moved! They were so handy. Looks awesome Alison! LOVE IT! I wish I didn’t have to go to Canada (literally) for the closest ikea! I moved from AZ to Buffalo NY and no IKEA is sad! haha! Can’t wait to see her new bed! I’ve gotta get my rear in gear and paint my boys twin beds now that my little guy is out of his crib! xoxo Have a great week! Can you hang the poster in her closet? Win-Win? Try a quick pinterest search. It looks wonderful! Perhaps you can paint the frame and make it more subtle? thanks for the d lawless hook-up….fabulous line and prices! I love the organization! This is right up my alley. Love the new shelving! I definitely want some kind of large square shelving in our new place! It looks so good! About the poster; what if you painted the frame white to match the rest of her furniture? Maybe then it wouldn’t stand out as much like it does with the black fame. I know that may not change your opinion of the poster but it may blend in better. Love how the room is coming together! 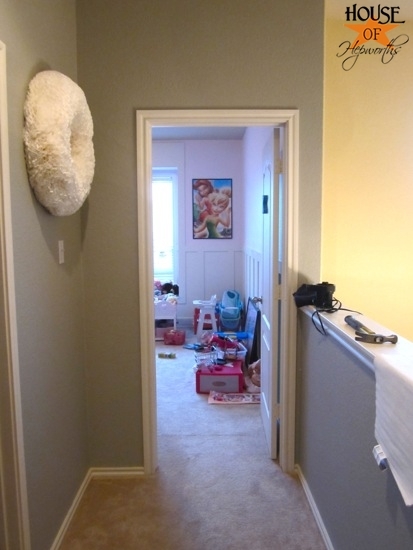 Have you thought of hanging the Disney poster in the closet? 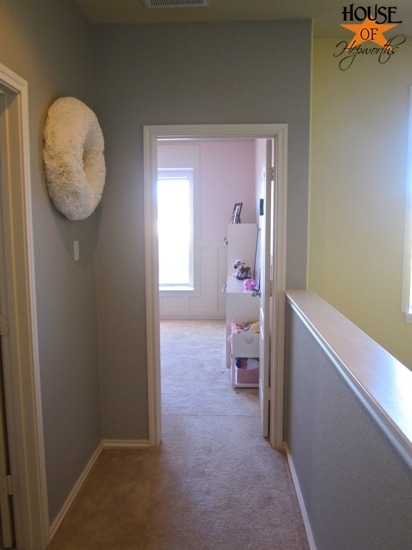 You could decorate that space with all of the character stuff and make that a separate, special place! I redirected my daughters attention from disney by letting her browse art.com and let her create a gallery of real art she liked. You can search by color and it turned out that she had a thing for abstract art! I was thinking the same thing as the other commenter, what about changing up the frame in some way to make it work better with the room? You could also add a mat to make it look a bit more refined. I found out I could get cheapo mats at Aaron Brothers by shopping their bin of mis-cuts. I’m totally with you on the princess poster. My daughter LOVES the Disney princesses and she can have all the games, arts and crafts, dress up, etc. 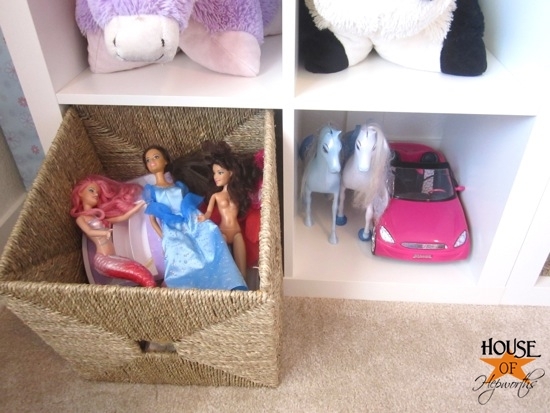 that she wants, but her room is not going to look like a shrine to the princesses. Great storage updates with the expedit. I am eyeing a 4×4 unit for our playroom, but haven’t bitten the bullet yet.